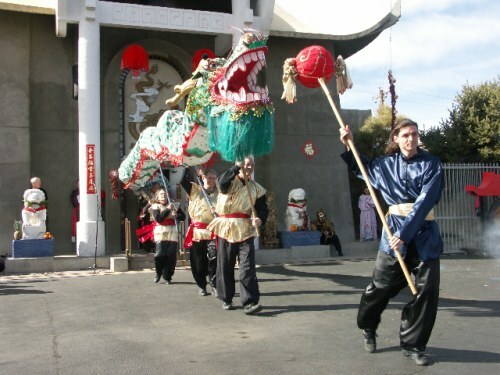 Celebrate the Chinese New Year in Albuquerque with traditional Oriental festivities at the Chinese Culture Center. 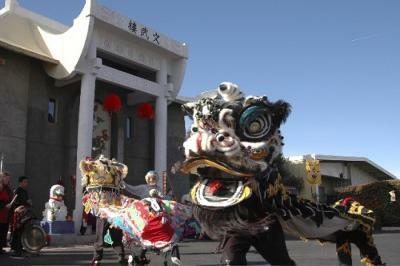 The Chinese Culture Center's free celebration draws hundreds of people, including prominent members of the Chinese-American community in New Mexico. The celebrations are conducted outside, rain or shine. The good things about being Chinese is that they are in every corner of the world. Whether it be people, products or their cuisines they have always been crowd pleasers and thus be happy if your one. You spread happiness and smiles. you were doing great jobs. I love that Dragon Dance. I hope you are continue what you are doing. I was born Asian, so I hope you will participate on our annual Festival that is Asian American Festival at the Civic Plaza in May 2012 as our Asian Day too. Hey there guys, I just wanted to say you guys do an amazing Lion and Dragon dance performance. Although I heard you have declined the invitation. I would really like to see you perform at the NM Asian Family Center Fundraiser event. I hope you win NM Best Lion/Dragon dance team if you change your mind about being a part of a great fundraiser! Hope to see your team there!!!!! Join in and write your own page! It's easy to do. How? Simply click here to return to Celebrating Chinese Festivals.